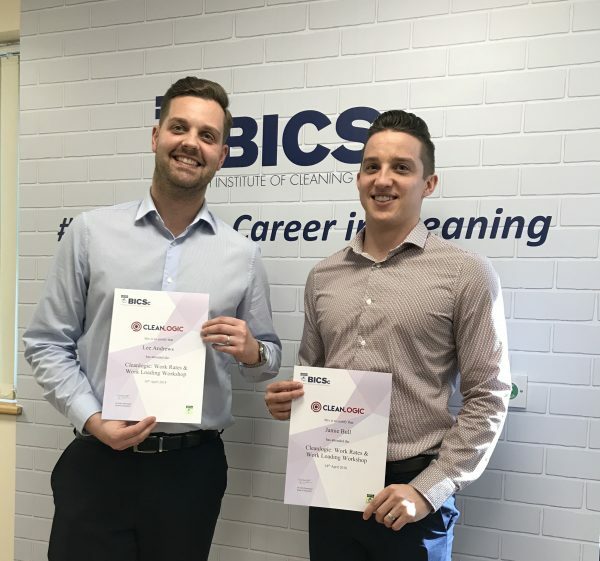 As a corporate member of The British Institute of Cleaning Science (BICSc) we always keep up to date with the latest training offerings from BICSc. Recently, BICSc have announced the Cleanlogic™ brand, which is a growing collection of supervisory and management courses and workshops, developed with BICSc technical knowledge and experience. These courses and workshops are perfect for anyone within the industry will provide the technical underpinning knowledge for you to progress in your career and ultimately have the understanding to manage a cleaning operation. This week our Commercial Director and Financial Director attended the first Work Rates and Work Loading Workshop in order to enhance our skills when pricing and evaluating jobs, with both attendees reporting the workshop to be very beneficial.